The CABE Board of Directors and Staff believe that establishing better two-way communications between boards and CABE is one of the most important new features of the CABE Liaison program. What are the expectations for the CABE Liaison? • The CABE Liaison will receive a monthly email newsletter from CABE and we are asking that person to report to his or her board on what is contained in the newsletter. We will keep these short and “punchy” in the hope the report delivered to the board will also be brief, but helpful. • The CABE Liaison will encourage board members to participate in CABE events and ensure that their board members are “in the loop” as to what CABE is doing. • In addition, the CABE Liaison will communicate with us about their boards’ concerns, interests or provide any other information they think we should know about. At the bottom of the email newsletter we send to CABE Liaisons, there will be a link back to us for questions, concerns and comments. This two-way communication should help all of our members learn more about and participate more in our activities and programs. 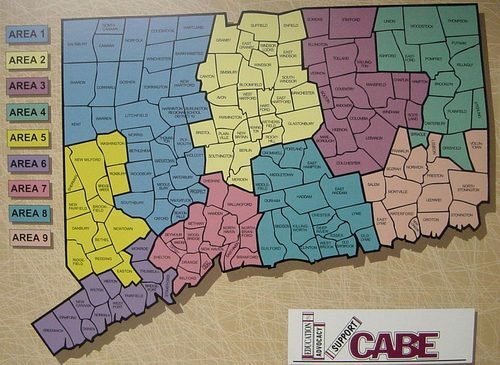 As a CABE Liaisons, you will be entitled to participate in one workshop a year FREE of charge. We hope that these programs, especially the CABE Liaison will strengthen our connection with our members in order to better serve you. Please contact Lisa Steimer at 1-800-317-0033 or 860-571-7446 with the name of your contact as soon as you can.